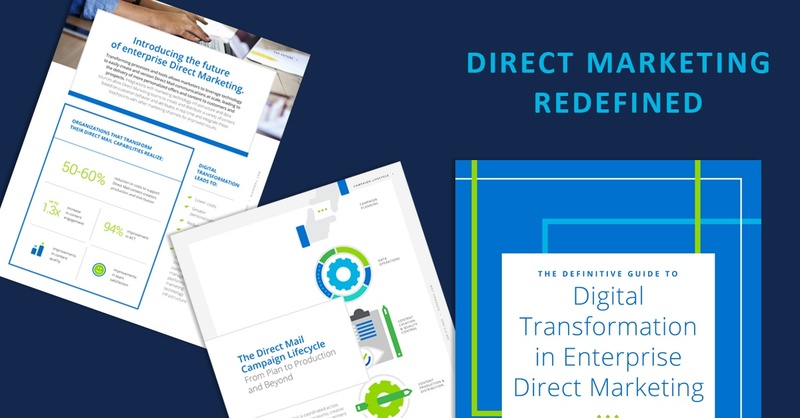 The Definitive Guide to Digital Transformation in Enterprise Direct Marketing has been researched and written specifically for business executives in complex enterprise marketing environments. KleerMail uses Digital technology and artificial intelligence to help enterprise businesses streamline their Direct Mail campaigns, align their Direct Marketing channels, increase their capabilities and improve their performance. Now marketers can do more testing and personalization in less time, track and analyze their data more efficiently and effectively, implement more dynamic content quickly and maximize the potential of their Direct Marketing programs, while minimizing their costs. © 2019 KleerMail. All Rights Reserved.